No dinner party is complete without a couple bottles of wine to keep the conversation light and the laughter flowing. 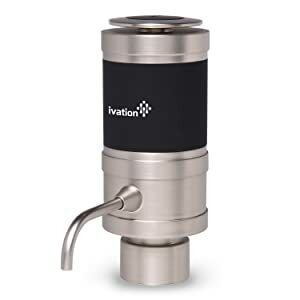 With the Ivation Electric Wine Aerator, pouring the perfect glass for everyone around your table has never been easier. Just pop the cork on your favorite bottle and slip on the aerator. With a touch of a button wine is drawn up from the bottle, infused with air to bring out fruity subtleties, and dispensed cleanly into a waiting glass. The tight seal also means that the aerator can be used to store an unfinished bottle for later. The sleek design will impress your friends, while no-tip dispensing technology means no spills to clean up! Focus your attention on what really matters: time well spent with friends and family. With a brushed metal finish and black accents, the aerator will look like a luxury addition to your dinner table. Your guests will be impressed both with your fine taste in wine and your attention to every detail. The no-tip dispensing technology means no spills! No more little red dots left over from the night before to discover on your table. The Aerator itself is also waterproof for easy cleaning and effortless preparation in time for the next soirä»”. As wine is drawn up into the device, it is infused with air to help bring out the subtle fruity flavors in every glass. Your palette will thank you for awakening all the different taste possibilities offered by each dark red and bright white. 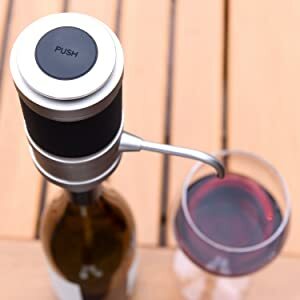 With the touch of a button, wine will pour through the sleek spout and allow for glass after glass of uncomplicated revelry. Gone are the days of awkwardly balancing the bottle in one hand and your glass in the other. 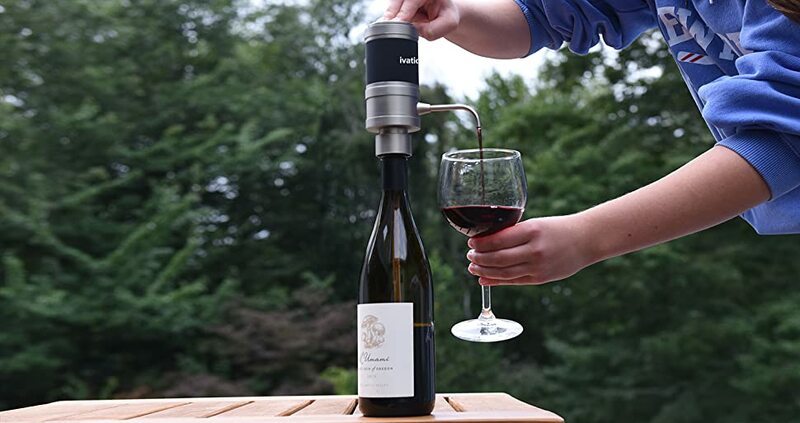 The aerator is designed to fit any wine bottle, and the hard and soft extendable spouts ensure the last drop of every bottle is enjoyed. The tight seal also doubles as a wine stopper to keep your unfinished bottle ready to go for later.